The Teaching in Italy; the specialist teaching module from I-to-I TEFL was very enjoyable. It states that it is only a five hour long module; however, just to my current work commitments it took me a little longer than I expected! I am glad about this. I passed the module in August 2015. I found that the module was packed full of information about teaching in Italy. I found that the questions were similar to the ones I had answered before in my other Specialist TEFL Modules with I-to-I. There were some surprises throughout the module; which I liked. I love the structure of the module as you can jump back and front through module! I would recommend this module if you want to teach in Europe; even if you think that you already know about Italy! Super excited – there are more courses!!! After the completed my Teaching English Online course; i-to-i have brought out another three courses – Teaching in Vietnam, Teaching in Poland and Teaching in Italy. Each of the courses are only 5 hours and £11.00 each! Fantastic is all I can say. I have never thought about teaching in Italy. 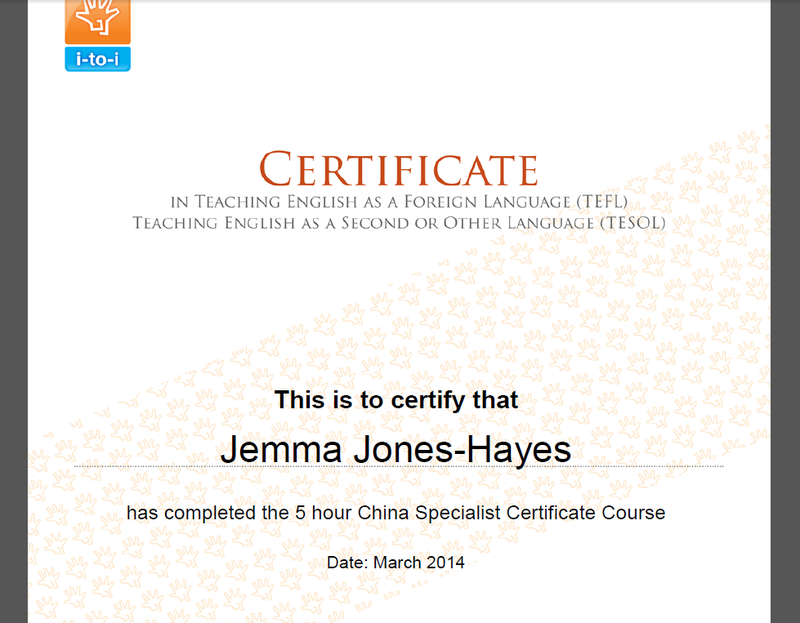 I really need to add these courses to my TEFL repertoire – I believe that the more I have learn the more I can give. Do you all agree? This weekend I am attending a TEFL Recruitment event in London that has been organised by TEFL.org.uk. I very excited about going. I have printed off copies of my up to date CV ready to give off to any potential recruiters and I have got all my lunch ready and sorted. I am going to be going down by train. It is not far from my house to London. It will be the first time I have ever attended this type of event. I will keep you all posted. I am looking forward to it; I am wondering what is going to happen there. I am ready whatever will happy. I am positive! The post I have just checked my Online course at i-to-i TEFL and I have completed my final (well, I don’t think that it will be my absoult final module) module. I am SO HAPPY!!! I am now at 130 hours; and I can do the last 10 hours (it will be the last 20 hours) on the Internship or I can do another 10 hour module. Well, I am now on my way now! I am SUPER excited now!! What activities would you do before you have the students watch the video? What ‘while viewing’ tasks would you use in your first viewing of the video? What ‘while viewing tasks’ would you use in your second viewing of the video? What post viewing tasks could you use? Please mention at least 3. As a class we could carry out a brief discussion on the topic of the Bermuda Triangle; if need be watch a piece of the video. We could also brainstorm some vocabulary what we all may think will be used within the video. I would ask them to think how they would feel if they were in the Bermuda Triangle; make some notes if possible. Students can fill in the blanks with vocabulary they heard in the pre-viewing tasks or the students can listen for examples of grammatical structures and note them down. I could get the students to complete a project to find more information on the Bermuda Triangle using the internet. Finding any stats or images. I could ask the students can be asked to draw characters from the video or ask them to create a character that was upon the boat.